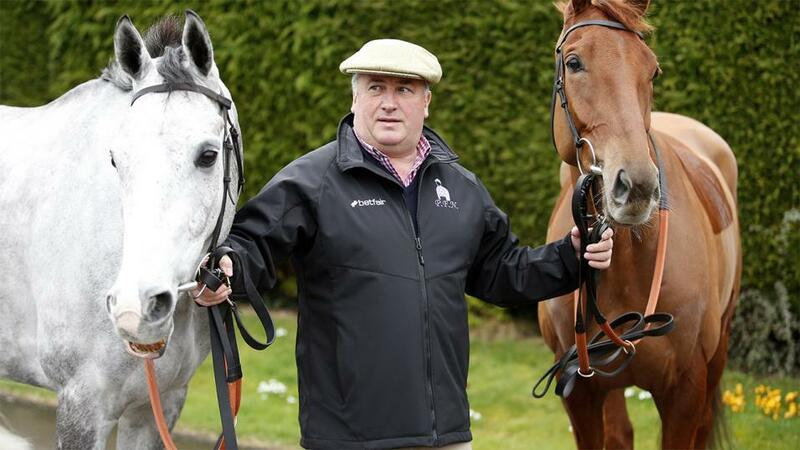 "We are very happy with Politologue who has already achieved so much this season before losing out to Altior at Newbury last time. While it is going to be hard for our horse to turn the form round in this he’d enjoyed a short break before Newbury, is a lot sharper now and I couldn’t he happier with his preparation." I'm running out of superlatives for Black Corton who has won eight of his ten races over fences this season and has forged a fabulous partnership with Bryony Frost. I didn't rate him that highly at first but everyone knows now that he is a serious chaser and the RSA has always been his long term target. While he thrives on racing and is bouncing at home the ground at Cheltenham is a bit of an issue as he has never won on heavy though he has plenty of form on soft. Black Corton is still improving, has won twice at the track this season and I could not he happier with him. He is sure to run his usual honest race but the ground is a concern. When I said a few weeks ago that Topofthegame would only run in this if the ground was heavy I wasn't really expecting it to be so testing. But heavy it is and one thing is for sure - this horse will love the conditions which will play to his strengths. He is an exciting prospect, comes into this in great shape, stays well, and won nicely at Sandown last time despite a mistake at the second last. The downside is that he is now eight pounds higher in a fiercely competitive handicap. We are very happy with Politologue who has already achieved so much this season before losing out to Altior at Newbury last time. While it is going to be hard for our horse to turn the form round in this he'd enjoyed a short break before Newbury, is a lot sharper now and I couldn't he happier with his preparation. Two miles round Cheltenham will suit him well, particularly if they go a decent gallop and he will be fine on the ground. Solid each way chance. Reminds me a lot of Qualando who won this decisively for us three years ago at 25-1. Grand Sancy has been very consistent over hurdles and finished fourth last time in the Adonis at Kempton where he got there a bit too soon before keeping on steadily late on. The ground should be fine for this horse who wants a fast run race with a bit of cover and he might just get it here. He's a tough, hardy customer who should be well suited to the demands of this race which we like to target. I left a bit to work on ahead of his fine run into second place behind the smart We Have A Dream at Musselburgh eighteen days ago. He should be alright on the ground, too, as it was heavy at Newcastle when he won on his hurdles debut. His mark of 136 looks fair, he worked well on Saturday and I will be disappointed if he is not in the shake up.